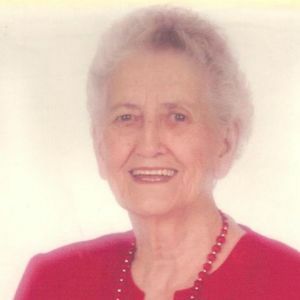 SACRAMENTO – Nancy West Lee Millard, 90, of Sacramento, passed away Tuesday, April 22, 2014 at the home of her daughter, Lisa Prewitt in Paducah. Nancy was born January 14, 1924 to Clyde and Lula Driskell West. She was also preceded in death by her husbands, Aaron Lee, the father of her children, and Joe K. Millard. She was preceded in death by two brothers, Clyde Eugene West and Hugh West; and three sisters, Irene Browning, Sally Everly, and Susie West. She is survived by two sons, Hugh Roy (Rita) Lee of Lewisport and Jerry (Mary Ann) Lee of Sacramento, three daughters Shirley (Gayle) Roberts of Lewisport, Marlene (Paul) Willyard of Sacramento, and Lisa (Curtis) Prewitt of Paducah; one step-son Joe (Debbie) Millard of San Antonio, TX; ten grandchildren; eighteen great-grandchildren; three step-grandchildren; and many nieces and nephews. Nancy leaves fond memories for all who knew her. She will be remembered for her sense of humor and her service to others. She loved her Lord and the Sacramento Cumberland Presbyterian Church. Funeral services will be Saturday, April 26, 2014 at 2:00PM at Sacramento Cumberland Presbyterian Church, with Rev. Curtis Prewitt and Rev. John Butler officiating. Burial in Sacramento Cumberland Presbyterian Cemetery. Visitation will be Friday from 4-8PM and Saturday after 11:00AM at the church. Expressions of sympathy may take the form of contributions to Sacramento Cumberland Presbyterian Church, or a Hospice or Charity of your choice. Tucker Funeral Home is in charge of arrangements. Online condolences may be made at www.tuckerfuneralhomes.com. Aunt Nancy was a very awesome woman. She could make me laugh and was always so kind to me. I am thankful that I was able to spend time with her when she came to Tucson to visit us. I am also thankful that she was a part of my family. My heart goes out to her children and grandchildren on this first anniversary of her passing. Rest in Peace, Aunt Nancy. I like to think that you and my mother are together in Heaven. Sincere sympathy to all of you on Aunt Nancy's death. I had the great pleasure of meeting her on a visit to Western Kentucky in 2009. What a lovely lady, with a great sense of humour, who faced the hardships of life and the good things with equal strength. She talked about her life growing up, and of course about her family.....and as she talked she cooked up the greatest homemade dinner I have ever eaten....ending with her homemade chocolate pie! My visit to Kentucky that year was certainly enriched by meeting her. Renewed sympathy to all of you.....I know she will live on in your memories. so sorry to hear about your loss. nancy was such a happy person to be around. she loved to laugh. will miss her. Leave a condolence or a memory.Shirley and Hugh Roy, I'm sorry I can't be there for you , but rest assured you're in our thoughts and prayers. It's hard when you lose your mother. So sorry to hear of the loss of "aunt" Nancy. She was a great woman. Prayers for all of you. Although we did not have the privilege of knowing her personally, we all know how much Matt loved and cared for his grandmother - so she must have been a very special lady. Our thoughts and prayers are with all of you during this time of loss. Celebrate her life and enjoy this time together remembering the multitude of good memories that you each have of your mother, grandmother, and/or friend. Aunt Nancy was a blessing to all who knew her.I will always remember her smile and laughter. She always seemed younger than her age because of her exuberance for life. I am so sorry dear cousins for the loss of your beloved mother.Even though Aunt Nancy is no longer with you, she will live forever in your hearts and memories. Know that your Arizona relatives share in your grief.Sherry said it all about such a wonderful person.Aunt Nancy will be missed by all of us. We are friends of Marlene and family. Sympathy to all. Love and hugs. Aunt Nancy is one the grandest most gracious ladies I have ever known. She was one of a kind, much loved, a blessing to others, and was bright light to all who knew her. You all are so blessed to be able to call her "Mom"! I'm thankful to call her "Aunt". Her wonderful smile, laughter, sense of humor, and presence will be greatly missed. Thanks for sharing this precious woman all these years with the rest of us.